On Wednesday, September 25 at approximately 6:30 p.m. the Jackson County Sheriff’s Office received a 911 call in reference to someone being shot at 4964 Bevis Rd., south of Malone. During the course of the investigation Deputies learned that the male resident of the house was seated at a dining table eating when a bullet pierced the wall of the single-wide mobile home, traveled through a book case, and struck him on his right foot. The victim was transported to Jackson Hospital by Jackson County Fire Rescue where he was treated and released. The bullet is still lodged in his foot and will have to be removed by a surgeon at a later time. Other residents of the neighborhood heard numerous gunshots around the time of the incident, but no one observed the shooter. Law Enforcement officials believe that the shooting was not intentional, but was criminally negligent nonetheless. K-9 Teams from Jackson Correctional Institution and Apalachee Correctional Institution assisted in attempting to locate a suspect. An investigation into the matter is ongoing. On 08/05/2013 Officers with the Marianna Police Department were dispatched to Yost St. in reference to a strong armed robbery. When officers responded they talked to the victim who said that he had been sleeping on his couch and was awakened by an unknown number of black males and was hit in the head with what appeared to be a handgun. The victim was transported to Jackson Hospital with minor injuries to his head. The only items taken from the house were some cash, a credit card and a cell phone. Anyone with information is encouraged to contact the Marianna Police Department at 850-526-3125 or Crimestoppers at 850-526-5000 or TOLL FREE 888-804-8494. The Jackson County Sheriff’s Office has received several reports of mailboxes being intentionally damaged or destroyed. These mailboxes are usually, but not always, located in rural isolated areas. When identified, the perpetrators will be charged with criminal mischief and prosecuted. Anyone with any information of these crimes may call the Jackson County Sheriff’s Office at 850-482-9648 or Crime Stoppers at 850-526-5000 or TOLL FREE 888-804-8494. During the overnight hours of 07/24/2013 Officer from the Marianna Police Department responded to a complaint of vehicle burglaries at Jackson Hospital. While officers were there they were able to locate several vehicles that had been burglarized. The officers found that a total of seven vehicles had been burglarized several of which were left unlocked in the parking lot. Among the items stolen was a semi-automatic pistol. The security guard noticed a white male in his late teens to early twenties approximately six feet tall and a black male about the same age but a little shorter fleeing the area on foot towards the Marianna Garden Apartments. The Marianna Police Department reminds you to keep your valuables out of sight and your vehicle locked at all times. Anyone with information is encouraged to call the Marianna Police Department at 850-526-3125 or Crimestoppers at 850-526-5000. 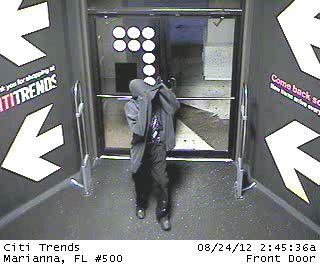 On 07-15-2013 a theft occurred at Lt. Liquors 4254 Lafayette St. Marianna Fl. 32446. 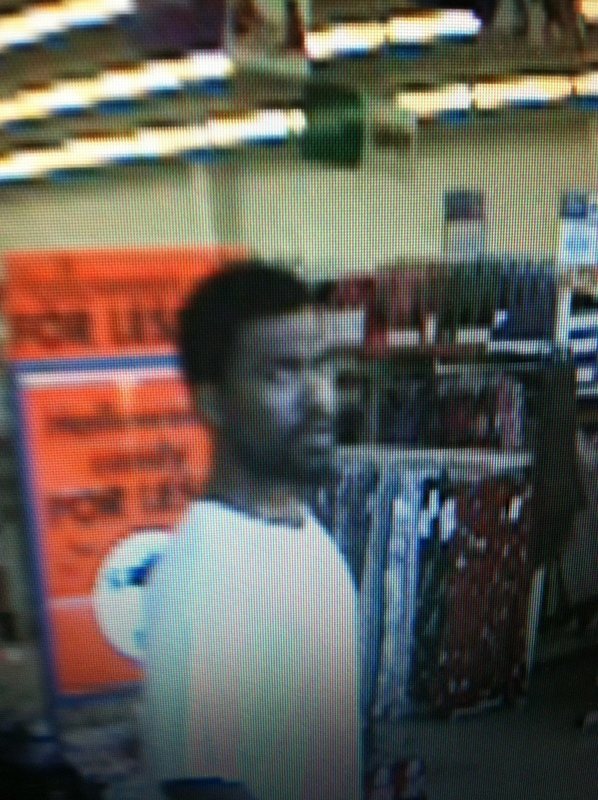 The Marianna Police Department is asking for help in identifying the subject in the attached pictures. He is a person of interest and is wanted for questioning. If anyone can identify this subject please call Crime Stoppers at 526-5000 or the Marianna Police Department at 526-3125. On 6-12-2013, the Jackson County Sheriff’s Office responded to a burglary alarm at the KMEE store in Campbellton, Florida. Responding deputies confirmed that entry had been made to the store, by breaking the glass on the front door. Investigators were able to recover video, from the store’s security camera which revealed that two subjects entered the store. Sheriff Roberts is requesting anyone with information, regarding the identity of the two subjects, contact the Criminal Investigations Division of the Jackson County Sheriff’s Office at (850) 482-9664 or Crime Stoppers at (850) 526-5000. On June 12, 2013 approximately 12:25 a.m. the Jackson County Sheriff’s Office responded to a call of Robbery at Taco Bell, 4689 Hwy 90. As employees exited the business after closing, a subject described as a light complected black male approached the employees and demanded money. 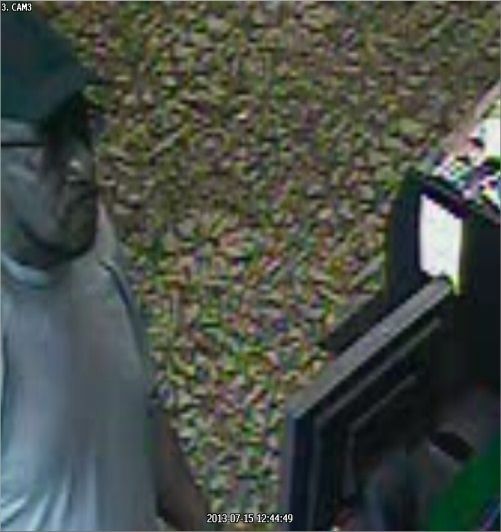 The male then fled on foot with an undisclosed amount of money, west toward the Holiday Lanes Bowling Alley. The male was approximately six foot in height, wearing blue jeans, ball cap and a light colored shirt. A vehicle of interest, a white extended cab Chevrolet truck, was seen in the area prior to this incident. Anyone with any information about this incident please contact the Jackson County Sheriff’s Office at 850-482-9648 or Crime Stoppers at 850-526-5000. On June 12, 2013 approximately 1:01 a.m. the Jackson County Sheriff’s Office responded to a burglary alarm at the KMEE store in Campbellton. Upon arrival it was discovered that person(s) had thrown an object through the front door. 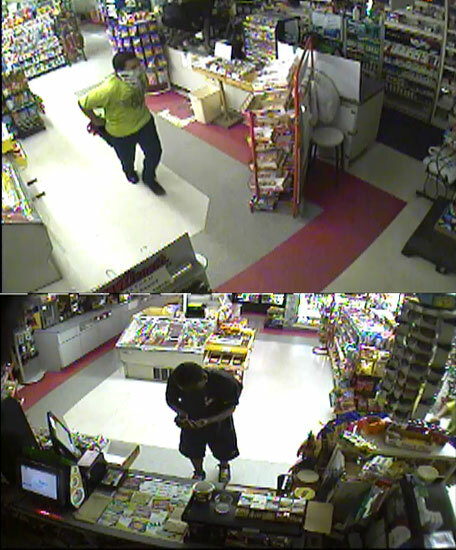 The person(s) entered the store and stole an undisclosed amount of cigars. Neal Land and Timber Pole Mill is offering a $1,000 reward for information that leads to an arrest. If you or anyone you know have any information about this incident, you are asked to contact the Jackson County Sheriff’s Office, 850-482-9648 or Crime Stoppers at 850-526-5000. Anyone with information of this theft, contact the Jackson County Sheriff’s Office at 850-482-9648 or CrimeStoppers at 850-526-5000. On 10/23/2012 Officers with the Marianna Police Department responded to the Winn-Dixie shopping plaza in response to a robbery of a woman in the parking lot where her purse was stolen. The suspect is described as a black male in his 20’s and was last seen running East towards Noland St. Surveillance footage of the suspect was obtained from a nearby business and a picture was obtained. Anyone with information in this incident is encouraged to call Crime Stoppers at 850-526-5000 or the Marianna Police Department at 850-526-3125. Marianna Police Department reported on 10/23/12, a robbery occurred at Winn-Dixie where a purse was stolen. During the course of the investigation, officers were able to identify the suspect as Emory Jerome Arline as the person who committed the robbery. An arrest warrant was obtained for Arline’s arrest and he was taken into custody without incident. We would like to thank all of the concerned citizens who called in with tips about this crime. Good Job Jackson County! 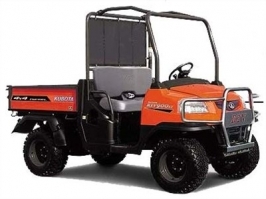 On August 15th, 2012 Blanche Godwin contacted the Jackson County Sheriff’s Office and reported that someone had stolen a New Toro-Zero Turn mower from under her shed behind her residence on Tendell Road in Cottondale, Florida. The mower was taken while she was gone from the residence. The mower is described as a red Toro Zero Turn mower, 42” cut with a 20 hp engine. Model number of the mower is 74627 and the serial number is available. The Jackson County Sheriff’s Office is asking for assistance with this case and if anyone has purchased a new Toro riding mower matching this description from any individual since August 15th, 2012 is asked to please contact the Jackson County Sheriff’s Office at 850-482-9624. Anyone with any information regarding this theft is also asked to contact the Jackson County Sheriff’s Office or Crime Stoppers at 850-526-5000. 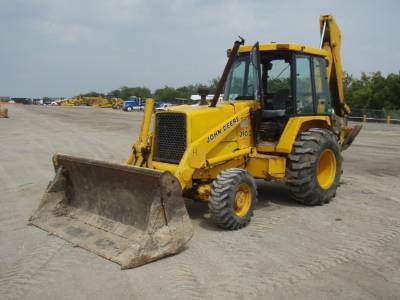 On August 19, 2012 between the hours of 8:30 a.m. and 10:00 a.m. a John Deere backhoe was stolen from a residence on Limestone Lane. Witnesses observed two subjects described as black males that appeared to be 30 t0 35 years of age driving a pickup truck pulling a trailer approach the backhoe. The subjects then loaded the backhoe onto the trailer and drove east on Limestone Lane. The backhoe is a John Deere Model 310C, yellow in color. Anyone with any information of this theft please notify the Jackson County Sheriff’s Office at 850-482-9648 or Crime Stoppers at 850-526-5000. On Tuesday August 24th, 2012 at approx. 1:53 a.m. the Jackson County Sheriff’s Office received an alarm at Citi Trends located at 4747 Hwy 90 Marianna, Florida. Upon arrival at the business, officers found that the glass to the front door had been broken. Officers cleared the business and found no one inside. Upon the manager’s arrival, officers reviewed the video surveillance and observed an unknown person breaking the glass to the front door and entering the business. The video shows the unidentified person entering the store four different times removing clothing items and shoes. 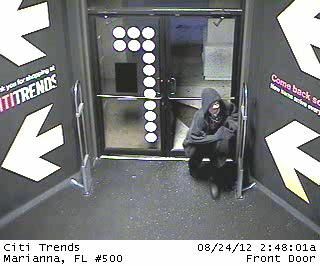 The unknown person was wearing a large oversized dark grey hoodie, dark colored pants, black tennis shoes and a black multi-colored shirt. It is possible that this person was wearing some type of mask as to conceal their identity. The Jackson County Sheriff’s Office is asking anyone with any information regarding this burglary to please contact the Jackson County Sheriff’s Office at 482-9624 or Crime Stoppers at 526-5000. A reward is being offered in this case for information leading to the arrest of the person(s) responsible for this crime. The Jackson County Sheriff’s Office is seeking the public’s assistance with several thefts that have occurred in the Graceville and Cottondale areas. Unknown person(s) have stolen at least six propane tanks from various locations throughout the Cottondale and Graceville areas. Some of these locations have been residential houses and a few have been businesses. At least two of the locations have been area churches. The most recent theft occurred at the Springhill United Methodist Church at 4547 Hwy 273 Graceville, Florida. The tank was a 200 gallon propane tank and was partially filled. The Jackson County Sheriff’s Office is asking anyone with any information regarding these thefts to please call the Sheriff’s Office at 850-482-9624 or contact Crime Stoppers at 850-526-5000. A reward is being offered in this case for any information leading to the arrest of the persons responsible for these thefts. In the early morning hours of Saturday June 2nd approximately 1:30 a.m., a black male wearing a black dew rag, a black long sleeve shirt, and black pants entered the American Inn & Suites located at 2196 Post Oak Lane in Marianna. The subject approached the front desk, asked the clerk how much for a room and then walked away. The subject again approached the front desk, produced a handgun and said give me the money. The clerk gave the subject an undisclosed amount of money and the subject fled the motel. Anyone with information of this crime please contact the Jackson County Sheriff’s Office at 850-482-9648 or CrimeStoppers at 850-526-5000. The Jackson County Sheriff’s Office is asking anyone with information of this incident please call 850-482-9648 or Crimestoppers at 850-526-5000. Remember, when people give donations to non-profit organizations the donations become the property of the organization.